The community forum as a whole went really well for our group. While our group talked about what to do in preparing, we didn’t provide any script and touched on main talking points. Our main presentation went a lot like this: Explain how disaster kits as a whole are a problem, explain solution, demonstrate solution, explain next steps. Our interactive element was our website, and that went well. I believe that our group as a whole learned that we prepared well for our presentation and presented really well. I would say that the Forum was a success! The photo shows the responses to our survey. ​Last week our group made progress by starting on our project,. 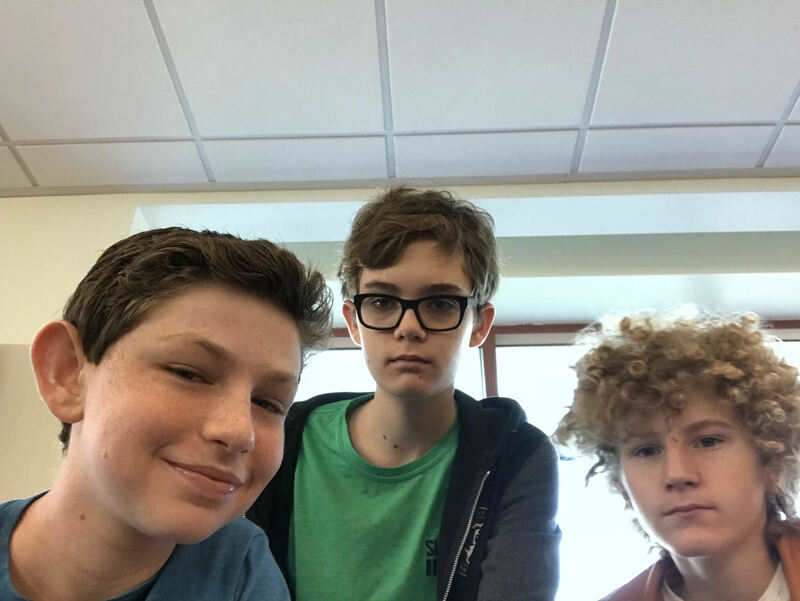 Our group has roles now, I will do coding on the website and Eli and Jake will work on data gathering and making a flowchart for their data. Jake made lots of progress on the flowchart and I was able to get off to a good start on the website. I hope that future weeks will mirror the success of this one. ​Our day with faculty went pretty well, we learned that since there aren't too many disaster in LA we should maybe focus somewhere else, and that we could do that by having another company help us spread the word. Our solution is basically the same still, the only differences are that it might be sponsored by a company and the community would be different, not sure where yet though. Our solution, of course, is a website that would would ask you a couple questions, then give you the most optimal items for your disaster kit, separated into mandatory, suggested, and optional, all of which you can choose to not have. This will give you the most optimal disaster kit for you, customized by you, and much cheaper than what is commercially sold, which are one-size fits all and probably not good for you. Our solution will have a positive impact in the community we are focusing on as that community will have more disaster kits in it in case of a disaster, which has a potential to save lives. We are going to collect data in the form of people who clicked on a link to purchase a disaster kit item, we expect to see multiple “click” on the links and a rise of disaster kits in that area. Published by Eli.Our project has evolved and started to take shape a lot since the last blog post. Our group has started narrowing down what we want to do, and has practically identified our problem. The problem that we are speaking of is disaster kits, or people not having them. One stat that supports this is from the magazine, Governing. It surveyed thousands of people from 25 major metropolitan areas around the country. 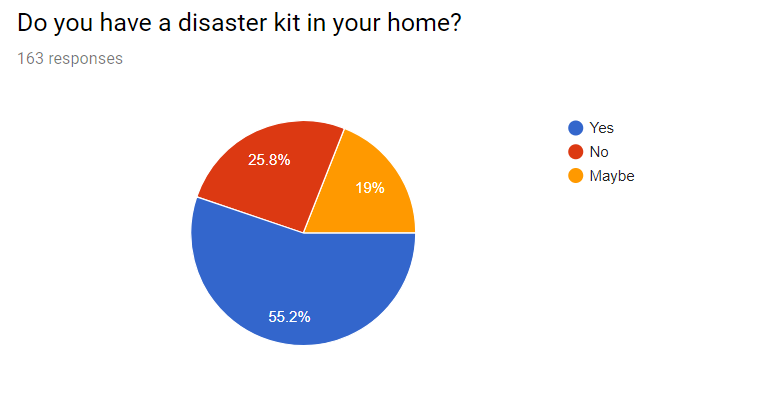 The survey results showed that only 51% of home surveyed have an emergency evacuation kit. Of that 51%, we can estimate that at least 10% have a kit without proper items, or do not have a kit that fits all of their, or their family’s, needs. To combat this our group is working on a website that first explains what is needed in a disaster kit, and then links to these items. We provide different levels of customization so everybody can get exactly what they need in a disaster kit. This week our group was able to get info from a few different sources and we also were able to slim down our focus. Our group was able to get info from the ARC, we tried other sources but none of them worked as they either didn’t know or weren’t available. The ARC told us that they did sell emergency kits but did not however give us any other info. This was disappointing as we would rather have had better info from another source. Our group also slimmed down our focus to making a website(or app) specific to California that would tell you what you needed for a disaster kit based on your area. All of these actions are ensuring that communities will be much safer in case of emergency. We are focusing on the broad topic of Disasters, with our focused topic of Disaster preparation and disaster kits. We were drawn to helping people with disaster because we saw a bigger opportunity to help people. We were especially drawn to disaster preparation because we saw an opportunity to help on a bigger scale by making a website. Our plan was to have people enter in their state and out would pop up the most common disasters in that state and the suggested Disaster kit for each disaster. 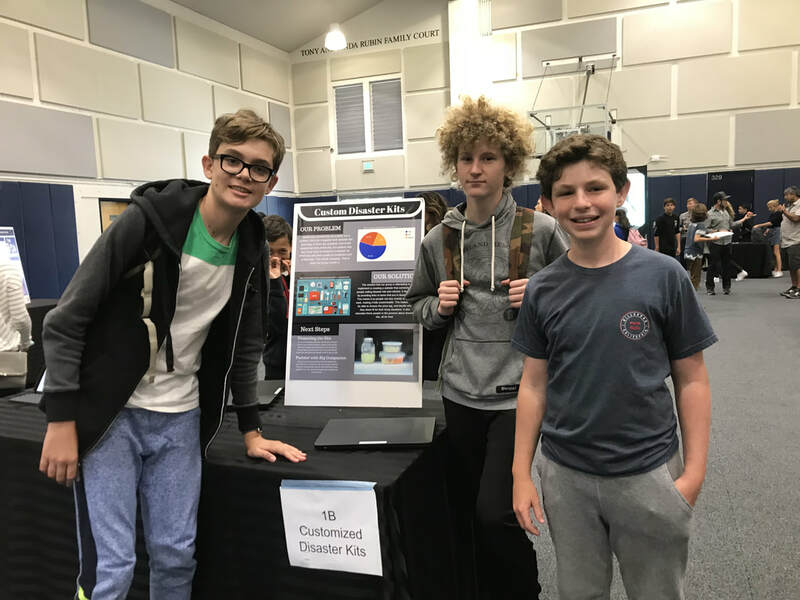 Connor, Jake, and Eli are striving to create an alternative solution to disasters.